Pears and almonds make great partners. 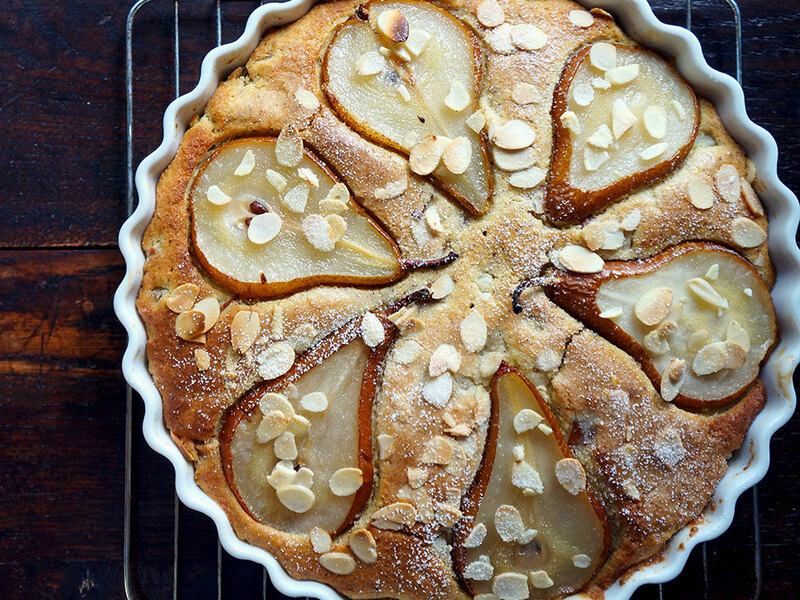 I love a pear frangipane tarte, tender pears tucked into a bed of creamy almond, butter and egg filling. But it’s fussy to make because you need to poach the pears and make tart dough and the filling. For a special treat I’m up for it but not during the holidays when we all have so many things on our mind not to mention guests to feed. Ground yellow cornmeal flavors this cake and gives it a subtle texture reminiscent of northern-style cornbread. (In the South, sugar is never added to cornbread.) Instant polenta is extremely fine and the ingredient I use for this cake although one of the superb local cornmeals, used to make Johnnycakes, would be ideal.